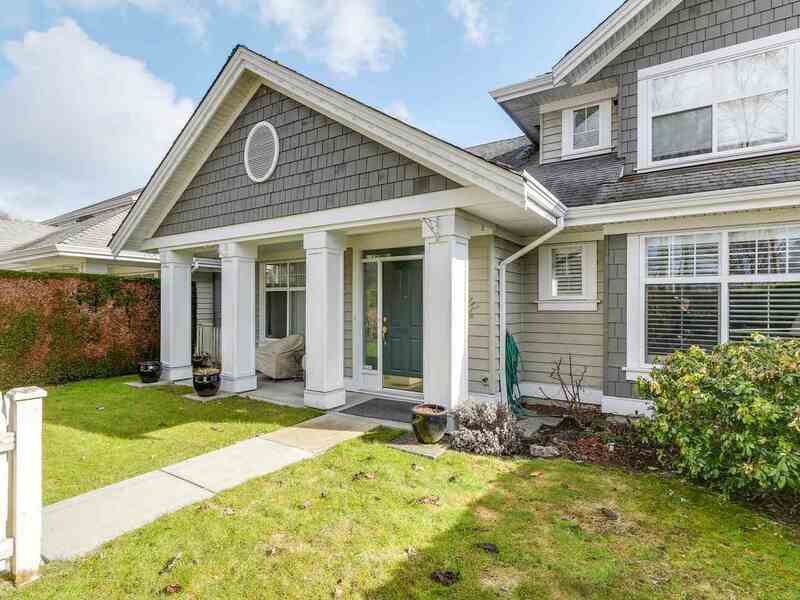 "Fabulous 2,450 sq ft "duplex style" end Unit in Ladner's Premier Complex, "Chesapeake Landing". Very Popular plan with Master Bedroom on Main Floor plus 2 huge bedrooms and office area up. Vaulted Ceilings and open Plan make this Super Bright and very Spacious - like a house. Perfect for those downsizing. Top location in the complex, it fronts Ferry Road across from natural wooded area (great for walks and bird watching), and offers a large front yard as well as backyard and easy access for guest parking. Features 2 1/2 baths, 2 fireplaces, new appliances, large double garage, hot water radiant heat on main. Outdoor pool, exercise centre and clubhouse. If you are looking for best Ladner has to offer, this is it! Please note age restriction."